I am very much aware that I do not have a healthy, balanced diet. Inasmuch as I want to stay away from processed food and junk, it is sometimes difficult especially with my lifestyle. This year, I will be turning 43. Health concerns are starting to give me anxiety and fear. I have been struggling to keep fit and I am exerting extra effort to eat healthier. I've reduced drinking sugary beverages to weekends only. I cook chicken, fish, and vegetables at home. I get to eat pork and beef when I attend events. I also started eating fruits for dessert instead of chocolates or cake. When I was asked if I want to try a prebiotic powder, I immediately agreed. I thought this is something similar to Yakult. I realized PREBIOTIC and PROBIOTIC are two different things and have different effects in the digestive system. Prebiotic is a non-digestible part of foods that we intake. 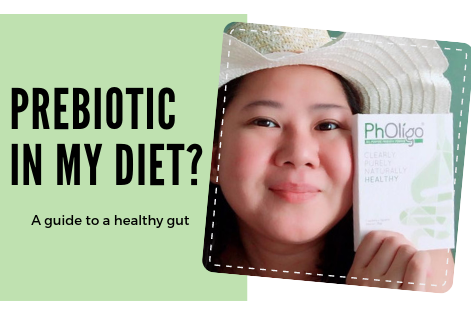 It goes through the small intestine still undigested and is fermented when it reaches the large colon while probiotics are live beneficial bacteria that are naturally created by the process of fermentation in foods. I thought that if I drink Yakult, I will no longer need to take prebiotic. I learned that both have benefits for the body. PhOligo is an all-purpose prebiotic powder made from natural fructooligosaccharides from sugarcane. It is an essential prebiotic that helps balance the human microbiome by boosting the growth of beneficial bacteria while inhibiting harmful ones. This plant-derived pure fructooligosaccharides has been clinically tested for safety and health functions. Its natural slightly sweet taste and high solubility and stability in hot or cold water make it easy to prepare and consume. 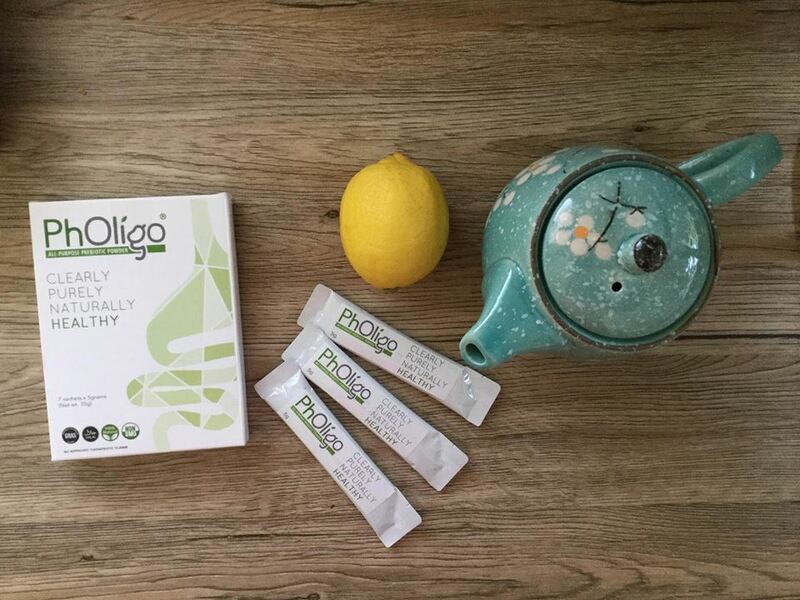 I mixed PhOligo in my juice or tea every morning. Although it is ideal and most effective when taken night time, I only drink water in the evening and prefers to not have anything mixed in my water that's why I take it in the morning. 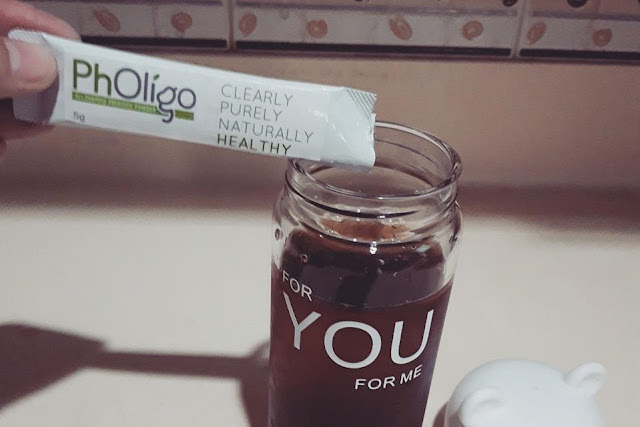 I love that PhOligo does not alter the taste and texture of my drink. It also dissolves quickly. A noticeable side effect on the third day is that I passed gas more often than I used to. I guess it's a telling sign that the prebiotic is doing something in my digestive system. A more pleasant effect is the improvement of my bowel system. My stomach gets easily upset but I'm having a difficulty pinpointing which food is causing my upset stomach. I either suffer from constipation or loose bowel movement. It seems like it's not the food but the environment of my gut that has the problem. While taking PhOligo, my bowel movement has normalized. Yes. If you can't get enough prebiotic from the food you eat, I suggest you take a supplement. PhOligo is safe to take with the vitamins you are currently taking. It is also safe for pregnant and lactating moms. Even the kids can take PhOligo. Visit www.gramworthph.com/pholigo for more information.